In celebration of Mother’s Day, I have selected three mothers from literature I have read, each decidedly different from the other. We have an exemplary step-mother of ten, a well-intentioned, but delusional doting mother of five, and a grandmother bent on scheming and revenge. The latter may not be what’s expected of a holiday post, but let’s be honest: in fiction, there are very few protagonists with perfect parents. In fact, it’s fairly common for writers to use a dysfunctional home life as the catalyst for interesting characterizations. Along with the social team at RedEnvelope (who were an inspiration in writing this post), to my own mother, Carol, who instilled in me a love of reading, I dedicate the following trio: mother, step-mother and grandmother, forever immortalized in the written word! Sadly, Adelaide lost all of her own children, either in infancy, stillbirth or premature labor. 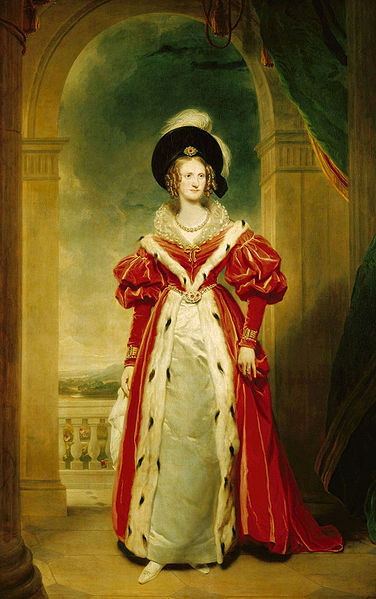 Still, she was an excellent step-mother, supportive of all ten children, though the King and Queen of England (and many other nobles) declined to recognize them as family. Of Plaidy’s Georgian Saga, Victoria in the Wings (#11) quickly became my favorite after the introduction of Adelaide. 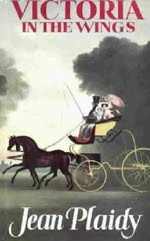 “With King George III under lock and key suffering from perceived insanity and the Prince Regent in ill health, all eyes are on the Regent’s pregnant daughter. Unfortunately, the unthinkable happens and both Charlotte and her baby die in childbirth, leaving the age old problem of succession. For though King George III has many children, all are middle-aged and none have legitimate heirs to secure the Hanoverian dynasty. Probably the most well-known mother among my reading groups is the indefatigable matchmaker, Mrs. Bennet (first name was not divulged by the author). While she may not win the Mother-of-the-Year award for sending Jane, her eldest, off to the Bingley’s place in the rain hoping she’d catch a cold, it was done with the best of intentions. If she were called brass, loud and seemingly ill-breed, Elizabeth would step up to her defense in an instant, even knowing the truth of the statement, because, well, it’s her mother! 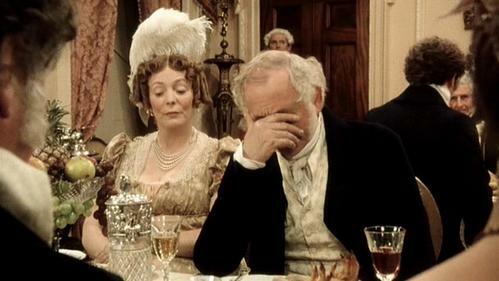 Mrs. Bennet has long been an interesting character for me. In the plethora of P&P variations that I have read (which is nearly 40, just a small percentage of what’s out there) I have not come across one yet that is told in her perspective. Her plight is simple: She has no sons to inherit. Her home is entailed to an obscure relative who has no connection to her immediate family. She must get her daughters married, and married well, if they are to have the gentile life to which they’re accustomed after Mr. Bennet passes. And so she’s become obsessed with finding single men in possession of good fortunes in want of a wife. Elizabeth Bennet: [On Marriage] Is that really all you think about? Mrs. Bennet: When you have five daughters, Lizzie, tell me what else will occupy your thoughts, and then perhaps you will understand. “When Elizabeth Bennet refuses his hand, Darcy is devastated and makes it his mission to change. 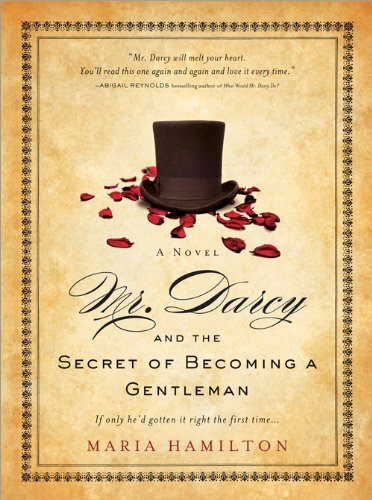 By every civility in his power, Darcy slowly tries to win her affections, but Elizabeth is not easily swayed. Darcy vows to unlock the secrets that will make her his. He curses himself for his social awkwardness and appearance of pride, and sets out to right the wrongs he’s done her family. And, finally, we are to the least appealing mother figure–the disgruntled grandmother, Ethel Cameron. Last year I started the chunky Savannah quartet by Eugenia Price and have since read the second, and plan to begin the third soon. As a Georgia native, the story appealed to me, and even more so when I found that many of the characters are based known settlers of the area I am from: the Cherokee lands of NW Georgia (a subject explored in To See Your Face Again). Ethel’s only son and her daughter-in-law died of an illness shortly after their daughter, Caroline, was born. Thus the child was raised by Ethel and her husband, Jonathon. However, Caroline took to her grandfather and vehemently disliked her grandmother, who treated her husband with contempt. You see, they had an arranged marriage and never really connected. He ended up taking a mistress and was scorned by Ethel to the end. 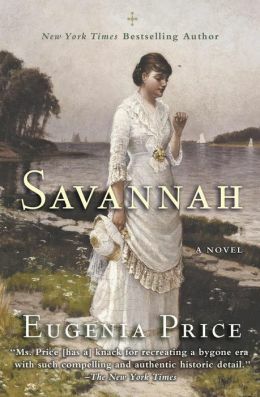 Ethel, however–with the help of the Savannah series’ hero, Mark Browning–became very close to her great-granddaughter, Natalie. Though ending her part of the story with a somewhat questionable scene, Ethel did try in her own way to relate to her granddaughter and great-granddaughter. Readers will not remember her too fondly as a motherly-type. If you enjoy family sagas and you’ve not added this series to your TBR, you should do so now! The books are available in newly designed paperbacks and in eBook form.